Germination Plant with eyes 2" below soil level. Planting too deep will result in poor flowering. Flower Form: Up to 9" or larger, semi-double, bowl shaped flowers. Pruning: Remove spent blooms. Clean up and remove shoots to the ground. Additional Information: Hybridizer: Samuel E. Wissing, 1964. Patent # 4247. 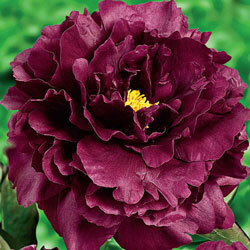 American Peony Society Gold Medal Winner 1986. 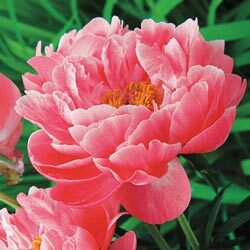 Result of breeding Paeonia lactiflora 'Minnie Shaylor' with hybrid lines.